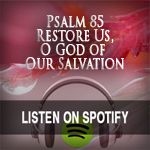 Scripture Songs for Worship : Psalm 85 "Restore Us, O God of Our Salvation"
Psalm 85 "Restore Us, O God of Our Salvation"
Music Copyrighted 2012 by Esther Mui. I love these songs. How can I access the free downloads of sheet music and piano accompaniments? TO download the lead sheet, click on the link above. It will take you to the facebook site where you can right-click to download. 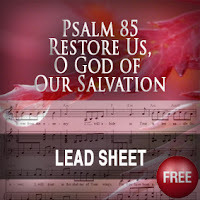 The piano accompaniment sheet music for this psalm is not yet available.